An indoor garden can be established with flowering plants, vegetables or a combination of both. It will be enjoyable, healthy and profitable. An indoor garden is ideal for those with little garden space and for those who find bending a problem. 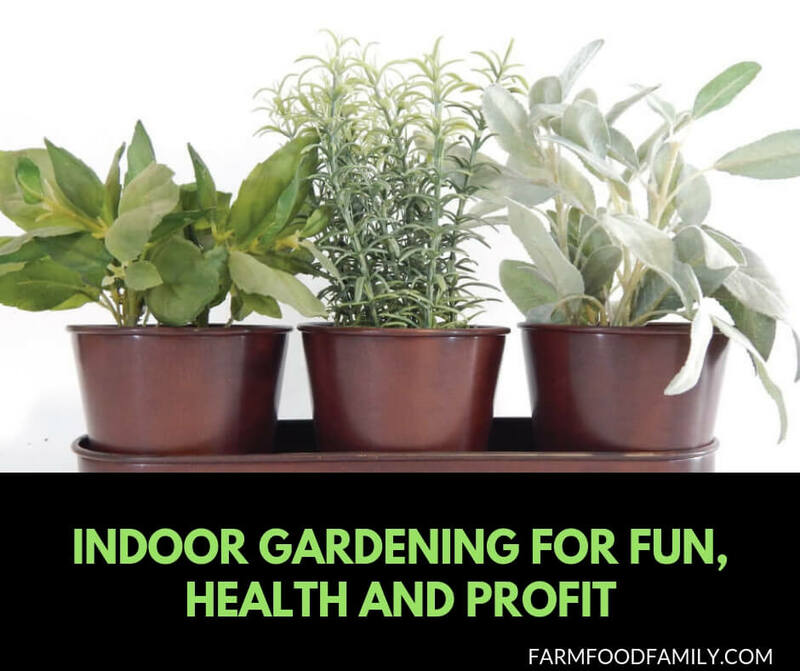 The other advantages of an indoor garden are of course the lack of or very few weeds and being able to work in comfort in all weather conditions. Flowers or vegetables can be grown in a variety of pots and containers. Whilst plastic is less expensive, ceramic pots and containers can enhance the decor of a room. In actual fact the choice of container is only limited by the imagination of the gardener. Depending on the type of plant a shallow or deep container can be used as long as excess water can be drained from the base of the planter. Metal watering cans and plastic buckets are a couple of “out of the ordinary” planters that can be used to great effect. A hanging basket is another container that can be used successfully indoors. Plants grown indoors require more care and attention than those growing outside in the garden. Indoor gardeners will need to spend more time watering their plants because they have to do it by hand and more frequently because plants tend to dry out quicker in containers. Indoor plants also require a regular fertilizer regime. Indoor gardeners have a choice of establishing the type of garden they want. In fact if they so desire they can have a variety of gardens in various rooms. Some indoor gardeners may opt to only have flowering plants in their home. Choosing the colors to complement the decor of the room is a great way to enhance the ambiance. Flowering indoor gardens can be established in the living areas or in a covered outdoor area, such as a patio. Tomatoes and Capsicums are two of the most common vegetables that can be grown in a container indoors, especially Cherry tomatoes. Being able to eat fresh, delicious vegetables from one’s own indoor garden is an exciting experience. A small vegetable garden can be grown in the kitchen or in a casual meals area. Most herbs grow all year around and are attractive as well as useful. Since a herb garden can be established in very small containers, they are ideal to be placed on window sills or shelves. People with a love of gardening but without the space and/or time to do it on a large scale can still get great enjoyment by establishing an indoor garden to suit their specific taste and requirements. It is easy, cheap, rewarding and can be profitable.